Studio visit with Hamza Walker and Alix Shaw. Many art historians often have little to no interaction with living artists, given that history is often the purview of the past. In more traditional academic settings, the art history department is often set well away from fine arts studios. On any given day, the library-bound historians are probably more likely to run into philosophers, economists, or other sundry members of the liberal arts crowd. I witnessed an artist deny an art historian’s summation of his work to the historian’s face in front of a large crowd at the museum I used to work at. I decided then it might behoove me to talk to more artists, rather than just read about them, if I was going to spend my life talking about their work. I chose to enroll in SAIC’s graduate art history program because I felt that I would have a better chance of meeting real live practicing artists at an art school versus a more traditional university. This seems a fairly logical consideration, if you ask me. Yet I still sensed a palpable divide between art historians and artists once I arrived here. Sure, I got to know some MFAs from my classes, and I was vaguely aware of who had work on view in one of the Student Union Galleries. I knew the art history department periodically extended offers to set up group studio visits with artists, but work or class often caused a scheduling conflict for me. I did my best to make it to openings and events, but sometimes I just need to go home and go to bed instead. 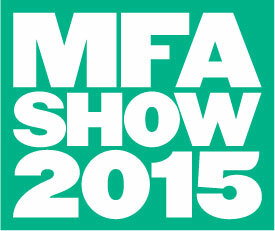 There are certainly opportunities that facilitate exchanges between MFAs and MAs at SAIC. Yet the simple fact of the matter is life often just gets in the way. Moreover, there are deep-seated, institutionalized rifts between art and art history that influence the way these two disciplines relate (an explanation of which would take eons so I will opt out of going into such reasons here), even at one of the foremost art schools in the nation. The point is, I was filled with good intentions to cross the threshold between the respective realms of the artist and the art historian, yet I found myself more and more surrounded by the latter as both my school and extracurricular obligations increased.  So I applied to be a curatorial assistant for the MFA Show, because then there’d be no toeing the threshold. I’d have to talk to artists, and they to me. By far, the most rewarding aspect of being a curatorial assistant on something as multifarious as the MFA Show is the interactions I’ve had with countless artists at different stages of their career over the course of the last six months. It’s amazing how different it feels to encounter an artwork in a studio than in the sanctioned confines of a museum or gallery. It’s even more revelatory to look at it with the person that made it. Because of these in situ experiences, the way I think and talk about art has changed. Whereas much of my art historical training has been rooted in empirical objectivity, I’ve learned how to be subjective (and to be ok with it) in front of an art object. I’ve accepted that sometimes I can’t know everything about an artist or his/her work and, often, it’s better that way. And while these realizations bring me no closer to being an artist, I do feel that they make me a better art historian.